As this was a mandatory event for all students with ESRC DTC scholarships, it felt more like a chore to me. Yet, once I got into the bus that picked us up in front of Parki, I was excited to meet people and actually do “networking”. 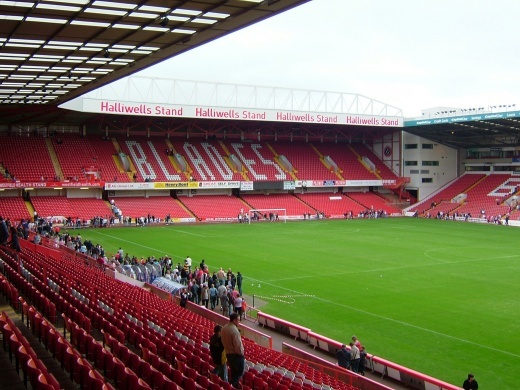 The event itself was at Bramall Lane, the famous Sheffield football stadium (Sheffield FC is the oldest football club in the world). The venue was pretty extraordinary for such an event. The speakers were pretty amazing, especially Martin Jones the WRDTC director, was great fun to listen to. While hearing the different speakers (lecturers and students), I realized just what a great opportunity the WRDTC is and how lucky I am, to have scored this scholarship. The resources they offer are fantastic. I should try to take advantage of this and get as much out of this scholarship as I can. The actual networking was fun, too. I met some PhD students from York Uni. The White Rose Doctoral Training Centre in Social Sciences (DTC) (http://wrdtc.ac.uk/) was established in January 2011 with an investment from the Economic and Social Research Council (ESRC) to provide a national training centre for postgraduate researchers in social sciences, including the award of a minimum of 48 full scholarships per year. By combining the expertise of the Universities of Leeds, Sheffield and York, the DTC delivers excellent supervision, first class training and vibrant intellectual environments for postgraduate research students. The Centre trains social scientists to meet the demands of future global challenges whether working within industry, academia or government. We offer an exciting interdisciplinary approach to postgraduate research training, combining taught and research elements. The DTC offers a range of scholarships across core disciplines and interdisciplinary areas, meaning greater scope for ground-breaking research projects. Students have access to national and international networks of industrial partners, opinion formers, policy makers and academics, enabling us to produce doctoral graduates with outstanding skills and flexibility.